Which Eye Tracking Applications Will We See in the New Year? 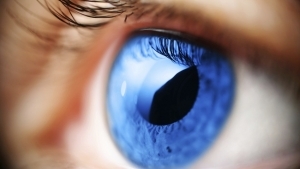 Researchers have done amazing things with eye tracking in the field of assistive technology. Using eye movements, people with severely limiting disabilities are able to communicate and express themselves like never before. However, mainstream consumers won’t use eye tracking for access; they’ll use it for speed, convenience, and increased productivity. Simply put, eye tracking will tear down a barrier between ourselves and our computers, allowing us to use our devices more fully in our daily lives. What if you could pan and scroll up and down a screen with your eyes, instead of having to click and tap your way through everything? Eye tracking technology will allow us to scan websites, e-books, maps, images, and more, using just our eye movements. This more natural way of exploring what’s in front of us will completely change the experience of consuming online content. How about using your eye movements to control your computer for work tasks? Imagine selecting icons, opening menus, and controlling media players with your eye movements. Finally, your computer might be able to keep up with your brain – when you want to access something, it will appear before you in record time. Speaking of your devices keeping up with you, imagine a camera automatically focusing in on what your eyes are already focused on. Or, think about simply being able to look away from your mobile device to trigger its screen to dim. That could save a lot of battery life! To keep track of all the latest eye tracking technology news, be sure to read the LC Technologies blog.